SEA you at the South Beach Seafood Festival, brought to you by William Hill Winery, and presented by Cheers FL, Goya Foods, Baptist Health South Florida, Celebrity Cruises, and hosted by Jack Daniel’s Tennessee Whiskey, Coca-Cola, and official bank partner, City National Bank. 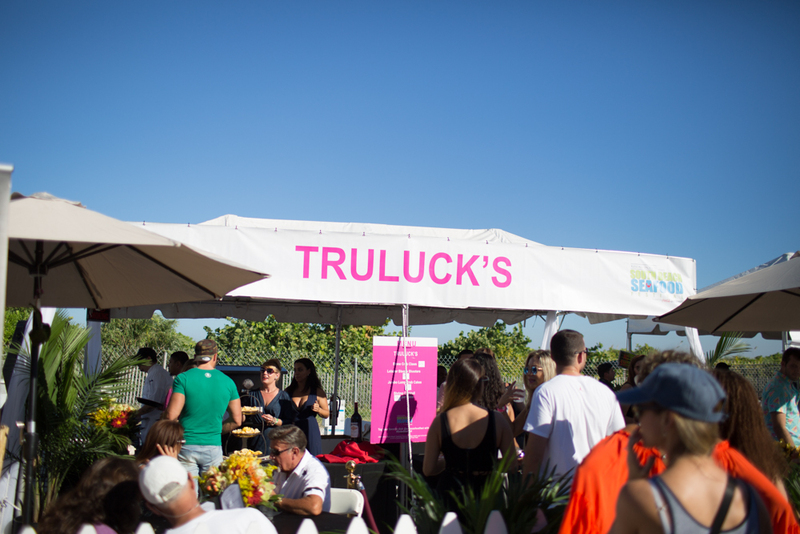 Our annual South Beach Seafood Festival – Main Event is a culinary festival open to all. 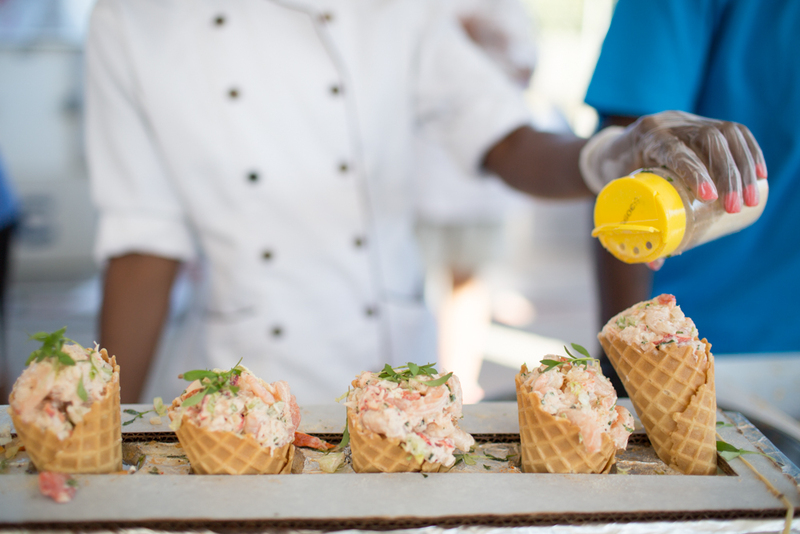 Seafoodies, come prepared to enjoy culinary delights from 20 of Miami’s award-winning Chefs who’ve been selected to create their featured pop up cafes for you to enjoy. You’ll sit refreshed with 100% all-inclusive drinks at over 30 available bars (alcoholic and non-alcoholic). Endless entertainment at any of the all new (3) LIVE Music Stages ensuring this is a true beachfront experience for epicureans! While the event does not designate a kids zone and there are no specific kids activities, Kids under age 10 are free and do not require a ticket at check-in. You must be 21+ to consume alcohol and security will be checking IDs at the gate. What do you get when you mix open bar with Miami’s finest seafood restaurants on the sands of South Beach for one day only? 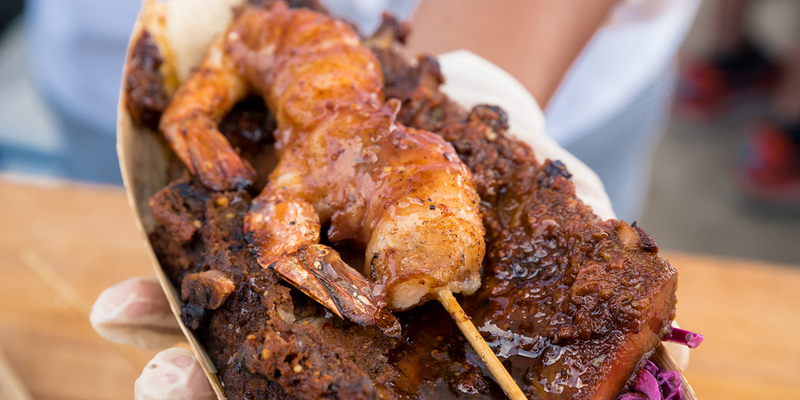 There’s only one answer: It’s the annual South Beach Seafood Festival! Our participants will be serving you right on the sand for this incredible Lummus Park seafood festival. It’s five blocks of fun to be exact! Restaurants will showcase an eating experience unlike any other as you stay refreshed with an ice cold Jack & Coke, a glass of chilled wine, a Finlandia Vodka Bloody Mary, frothy Pacifico beers or whatever other beverage you crave, all included in your ticket! 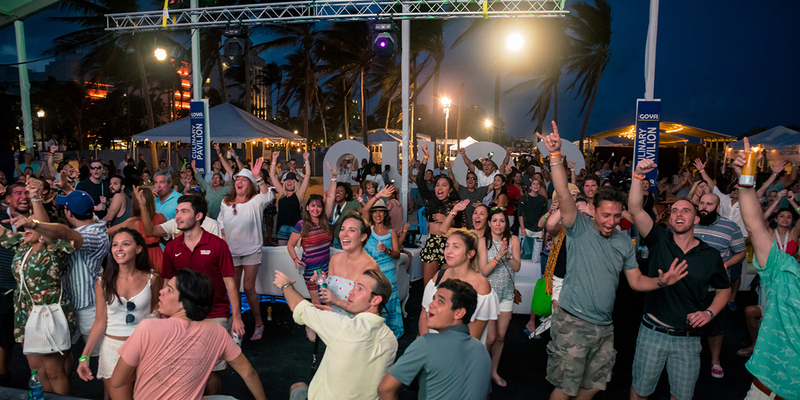 Guests will enter into this year’s upgraded experience @SobeSeafoodFest ready for a good time. There are two types of South Beach Seafood Event Festival tickets. Both General Admission and VIP include an all-day open bar available at any of the 30+ bar locations. General admission + open bar tickets are only $45! This low price gives you the opportunity to pick and choose which delicious restaurants to try—all of which are bringing their premium menu items at affordable festival-friendly prices ($5 – $10) with appetizer-sized sharable portions. This is not a tasting festival; this is an eating festival! Enjoy stone crabs, lobster waffle cones, steak & lobster skewers, shrimp tacos, oysters, seafood ceviche, shrimp cocktail, gyros, crab cakes, lobster mac n’ cheese, and more. But please, don’t go home hungry! And, the day isn’t complete without incredible interactive sponsorship experiences and amazing music entertainment featured at this centrally located Ocean Drive seafood festival. Seafood festival guests know there’s only one unique and extra fun-filled seafoodie experience—and it’s on the sands of South Beach! The JACK DANIEL’S LIVE ZONE featuring live music, hosted by Miami Heat’s Uptown Dale, headlined by Problem Kids , a Jack Daniel’s basketball court, air stream, craft cocktail experience featuring Finlandia Vodka and more. 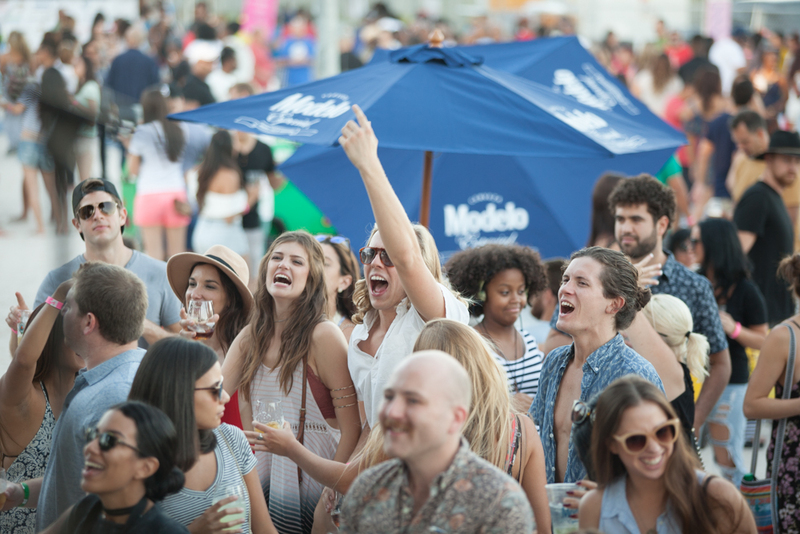 Put your toes in the sand with some corn hole boards and other life-size games at the annual beer garden, hosted by Pacifico Beer, featuring Shelborne South Beach Oasis Beer Garden Pop Up with Chef James’s famous Po’ Boys. The Coca-Cola LIVE BEACH CLUB will be jamming all day long with music from South Florida’s best bands, hosted by Buster Cox, with all day DJ Zilla, and headlined by Patrick and The Swayzees so you can dance the day away. If you’d like to learn a little something while you’re out there, step into the Milam’s Markets CULINARY SHOWCASE KITCHEN, where the featured chefs like Chef Norman Van Aken and culinary mixologists will take you to another level and make you the ultimate master seafood pairings chef. There’s a little bit for everyone, but if you are VIP – then GET READY! To include this year’s upgraded block and a half of private experiences from Celebrity Cruises, Herradura, Baptist Health, City National Bank, and Coca Cola. There are tons of new reasons why guests should splurge to be a VIP this year. For one thing, tickets include $20 worth of food vouchers per person to use at any of the participating festival restaurant cafes. Scroll down to find out the endless perks included in this year’s VIP Ticket! Join us and support the charitable organization EAT SMART PROGRAM from Community Initiatives Foundation for a beautiful day of sun, fun, and AMAZING SEAFOOD! The South Beach Seafood Festival – Main Event starts at 12:00 PM and goes until the sun sets at 7:00 PM, all right on the sand! You can find our entrance at 14th & OCEAN DRIVE in Lummus Park, Miami Beach. Entrance to the festival grounds. Access to the open bar from 12:00 – 7:00 PM at any of the 30+ bar stations and beer garden. Access to all cafés offering Miami’s finest seafood restaurants and dessert Cafes with delicious portions at festival friendly prices ($5-$10). Over 60+ premier menu items will all be available for purchase. Entrance into the VIP Hospitality Village. Premiere VIP sampling from GOYA, Celebrity Cruises, Papa’s Raw Bar, Old Lisbon Restaurant, Chef Billy G, and Vaitaire Enterprises. Entrance into GOYA’s Culinary Pavilion which by day features Coca-Cola COLLEGE Game Zone, all day private DJ PaulE, Dance party, shade, lounges, private bars featuring Jack Daniels, Herradura, and Finlandia, and more. CASA Herradura will transport you to Mexico. Baptist Health South Florida will educate you. 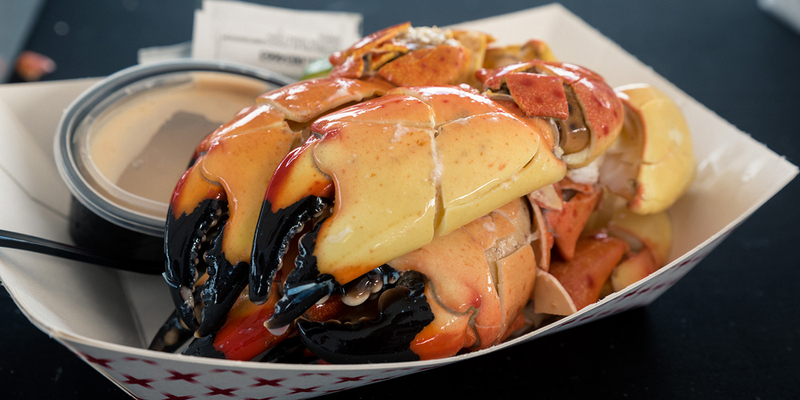 Enter the Private Line in VIP to order from Joe’s Stone Crab’s café. Hop on and get a taste of Celebrity Cruises’s THE EDGE, coming to port December 2018 with Silent Disco! 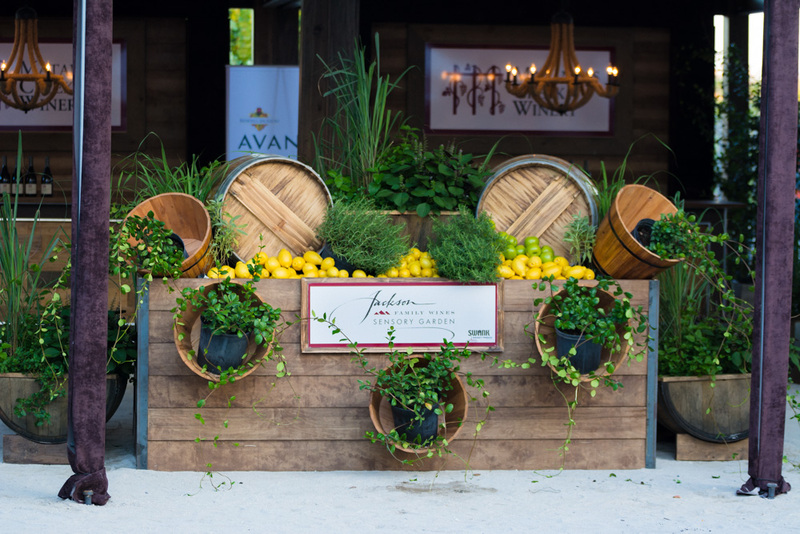 Event host, William Hill Winery, will have a one-of-a-kind sensory garden only available in VIP Hospitality Village, where they will be transplanting their Sonoma garden tour onto the sands. EXTENDED HOURS Just for VIP! Enjoy extended hours keeping the party going into the night. The festival grounds will close at 7pm, but the GOYA Culinary Pavilion inside VIP Hospitality Village with the featured DJs and Showcased Bars will stay open until 9PM, so you can dance the night away. Get the best deal for a seafood festival weekend of fun in the sun with the SoBe Seafood Festival Weekend Pass or Hotel Package. WEEKEND PASS FOR TWO with a 2-NIGHT HOTEL STAY – $800 SOLD OUT! ONE Signature Standard Room at either Mondrian South Beach or Shelborne South Beach (your choice), checking in Friday, October 25 – checking out Sunday, October 27.